The most obvious thing in the world has finally occurred and the only surprise is that it took so long! Certainly, UK Prime Minister Theresa May has said many times that she doesn’t intend on crashing out of the EU without a trade deal and she and her Cabinet have devoted much time and effort towards obtaining a deal. Whether the EU side has reciprocated in that drive for a deal is another matter. Many of us understand the reason as some in the EU have hurt feelings, and still to this day some continental politicians can’t understand why the UK is leaving and why more than 17-million voters chose to leave the European Union. Regardless, the UK is leaving. Of that there is no doubt. If the EU and Airbus want to continue to sell aircraft to the UK they will continue to operate their facilities throughout the UK with no substantive changes. But if they do leave, it presents an enormous opportunity for the government and companies in the United Kingdom to purchase Airbus properties in Northern Ireland and in Britain to create a homegrown aircraft manufacturer. Whether it’s a marriage, a business partnership, or a foreign manufacturer wanting to pull up stakes — do yourself a favour and let them go. If you stop them from leaving it’s only temporary anyway! So cut your losses and move on brave souls. There’s plenty to be said about helping them pack and in engaging in some polite small talk until they’re out the door. Then, as soon as their gone, pull out a blank sheet of paper and design the domestic aircraft manufacturer of your dreams — and get on with it every day until it’s done! That’s how you get onto the good stuff and prevent yourself from getting bogged down in anger, self-doubt, recriminations, and what-if scenarios. That stuff will drive you bonkers! Which is why Theresa May needs to take the bull by the horns and politely inquire as to the asking price of all of the Airbus manufacturing facilities which are scattered all over Britain and Northern Ireland — and buy-out Airbus (UK assets only) ASAP. It’s no time to be a wallflower, it’s time to create a domestic aircraft manufacturer, par excellence! One that will create just as many (or more) jobs in the UK as Airbus. Nationalizing Airbus throughout the UK would cost a few billion, sure, but investors from all over the world would want to get in on THAT IPO! Commonwealth countries — which make up 2.5 billion people — should be offered ‘first dibs’ on such an IPO to guarantee their participation in that new company, and to help ensure they will choose to order aircraft from that new entity. The astonishing success story of Airbus, of Bombardier in Canada, and Brazil’s Embraer all point to the success that a UK airline manufacturer could enjoy (assuming the right management team of course) which could also produce their own ‘joint fighter’ and ‘joint bomber’ jets for Commonwealth and developing countries. Canada could be tapped to produce the landing gear (for example) while Australia and New Zealand could build many of the components for the aircraft, while items with high labour costs (like sheet metal) could be manufactured in India, and seats and luggage bins could be made in Commonwealth nations in Africa and the Caribbean — and all of it shipped to the UK for final assembly and flight testing. It really comes down to which Commonwealth country can build the best seats, or the best wings, etc., and then simply arrange a build plan around those capabilities. ‘Canada, what can you build better, cheaper, and faster, than any other Commonwealth nation to add to the new [enter name of aircraft here] and deliver it to us for final assembly on a timely basis?’ That’s how you approach each Commonwealth country. Once the IPO has raised sufficient capital, the UK government could then sell it to that (primarily Commonwealth) investor group. As Airbus has concerns about deliveries of Airbus parts manufactured across the UK post-Brexit, Theresa May should relieve them of that concern by nationalizing Airbus (UK operations only). 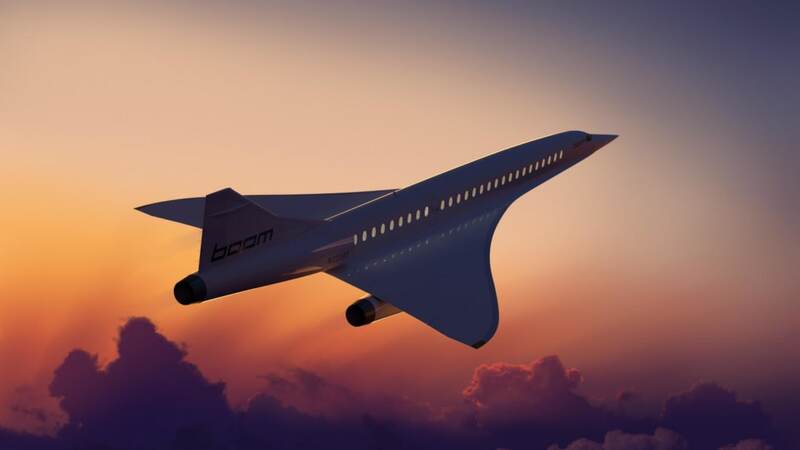 Image courtesy of Boom Supersonic. Not Only Will UK Airbus Jobs Be Saved, But an Entire Commonwealth-wide Aviation Industry Will Have Been Created! Once Brexit occurs, UK companies and citizens will no longer have the luxury of coasting along like snowflakes caught in a gentle breeze; Rather, UK citizens will need to ‘Man-up’ or ‘Woman-up’ (as the case may be) to rebuild the country into all that it could’ve and should’ve been, all along! From now on gentle Britons, it’s sink or swim, win or lose, own or be owned… decide how you want to spend the next 50-years. A great way to start is for the UK government to automatically nationalize every company that wants to pull out of the UK, hold it for up to 6-months, and then sell it to any appropriate investor group that has strong UK and Commonwealth connections and looks viable enough to pull it off in style. That’s how you ‘Build a Better Britain’ Theresa May!